WP 3 team: Prof. Kurt Vanhoutte, University of Antwerp (leader), Dr. Sabine Lenk, Dr. Nele Wynants. Throughout the nineteenth century, attending science shows was a very common pursuit. Magic lantern attractions successfully institutionalized a model of recreational and educational public spectacle that occupied popular cultural venues such as theatres, opera houses, museums and observatories. 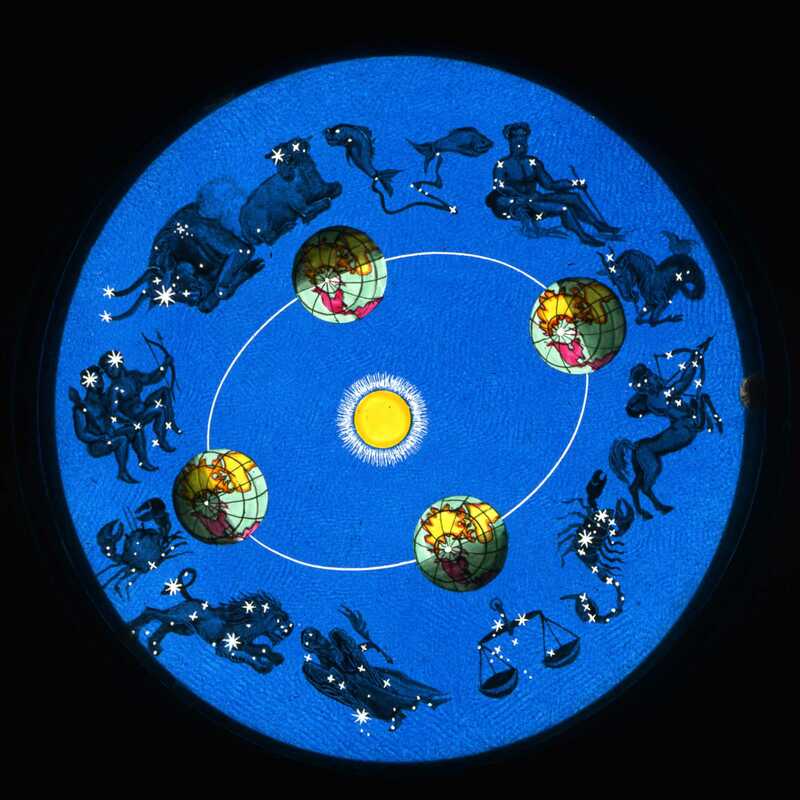 The performance of astronomical slides, the first precision science and, in the nineteenth century, the model of what science should be, provides a case in point. The shows were exemplary in their immersiveness and intermediality, combining the magic lantern as mediating technology with modalities from the theatre. The Antwerp research team will focus on the performative context of these scientific lantern shows in popular venues. The goal is to deepen the understanding of the cultural value of lantern shows in relation to changing ideas of theatricality, the adaptation of the lantern and its users to suit a certain venue, occasion and audience, and the complex struggle between didactic and aesthetic particularities. For more information about research activities, see Local Activities. Image credits: “Seasons” scan from slides in private collection Gwen Sebus.